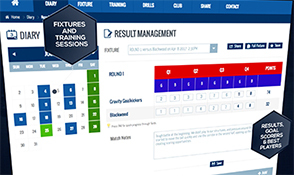 AFL preseason training can start anywhere from mid-November until early February. In the past, it was thought preseason training should include large amounts of long distance running. Recently however, elite clubs have found it's more beneficial to concentrate on aerobic and anaerobic cardiovascular interval training to build cardiovascular fitness, while focusing on afl-specific cardio requirements such as repeat effort running to improve lactate systems. More about this later. Skill drills should be dispersed amongst the cardio activity drills. There will generally also be a focus on creating a strong core and strengthening injury-prone areas for players with a history of specific types of injuries. Your afl preseason program should include - at minimum - some basic fitness testing, ball work, repeat effort running, core strengthening, and adequate recovery. 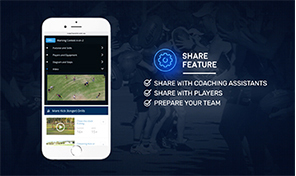 Fitness testing helps coaches determine the amount of additional work individual players must do to bring them to the desired level of fitness to run out a full game of Australian Rules. 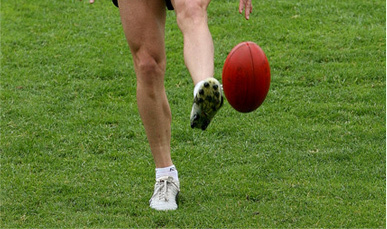 At elite level (AFL), fitness testing would include a mid-distance time trial (3km), weight lifting tests, skin fold tests, beep tests and personal diaries. Just prior to the Christmas break. When pre-season commences in the new year. Should always include the items in bold, plus 1 or 2 non-bold items below. Alternate ball work with body work to practice skills at varying levels of fatigue. Make sure to vary the content of sessions to keep them interesting. The pattern of high intensity sprinting, slowing to a jog, returning to a sprint, and so on. The sprinting period should be varied to simulate the length of sustained effort required by a player. 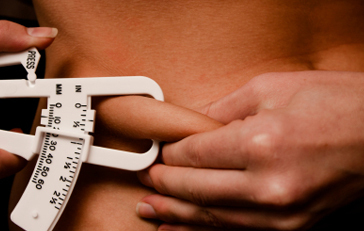 The body has three main energy systems - an aerobic system, an anaerobic system and a lactate system. The lactate system: Lasts around 50-90 seconds but produces less power than the anaerobic system. 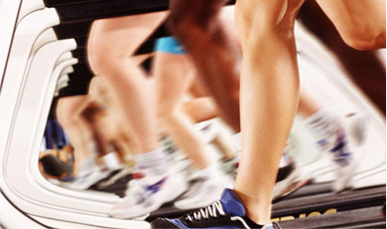 The aerobic system: Last over a prolonged period of time, producing the least power. Repeat effort running enacts the "lactate" energy system, reproducing the kind of effort required during a game. Using the centre square (or a 50 x 50 square), split the bunch into two even groups, one starting on corner (A) and the other on corner (B). Warm up by jogging around all 4 sides of the square. Once they are back to the starting corner, they commence run 1 (see diagram). Red lines indicate a sprint, blue lines indicate a jog. First run, players sprint one side of the square and jog/recover the other 3. When they get back to the starting corner, they sprint 2 sides and jog/recover 2 sides. Then sprint 3 sides, jog/recover 1 side. Then sprint around all 4 sides. Total - 1000m covered. Rest/recover and repeat going in the opposite direction. Players for a congo line (single file) and slow jog around the boundary. 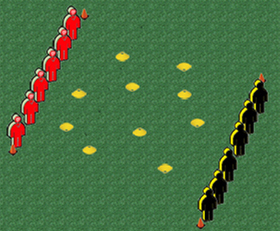 Upon the whistle, the last player in line taps the player in front of them on the shoulder, then sprints past everyone in line until they reach the start, where they return to a jog. As soon as a player is tapped on the shoulder by the player behind and that player has passed, they sprint after that player, tapping the shoulder of the player in front. Once everyone has sprinted, recover briefly then repeat. 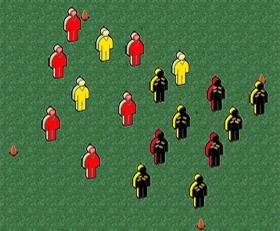 As per 'Boundary' drill, however players weave in and out of the players in the line. Make sure that once a player reaches the start of the line, they put 1m of space in between them and the next player, because if players bunch up it will become too hard to weave. This drill requires flat (non-pointy) cones. Two teams start on opposite sides of a square minimum 20x20m, maximum 40x40m. Larger distance for harder workload. Distribute approximately 1 cone for every player inside the square, 50% of the cones upright and 50% upside down. On start, teams enter the playing arena. The red team must turn the upside-down cones upright, and can shephard players from the opposite team from turning over upright cones. Opposite for the other team who turns cones upside-down. After 90 seconds stop, count the cones positions to declare a winner. This drills requires 3 or 4 pegs per player. Distribute these to players who get a teammate to peg them onto their back near their shoulders. 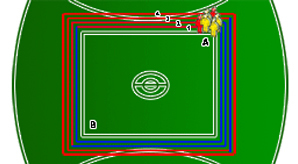 Players start by positioning themself somewhere inside a 30x30m square. 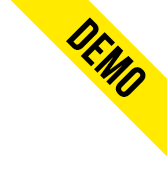 On start, players must try to steal pegs from other players, whilst avoiding their pegs being stolen. If a player steals a peg, they peg it to the front of their top. These pegs cannot be taken by others. The exercise ends when all pegs have been taken from all players backs. Once a player has all pegs stolen, they must leave the playing arena. The player/s who've stolen the most pegs win. Sharpen skills as much as possible during the preseason by doing short, sharp drills. Players should touch the as much as possible during the preseason to minimize skills errors in game one. Don't be afraid to use some competitive drills in the preseason. There is no point easing players into the season, they need to be hard at the ball as soon as the season commences. 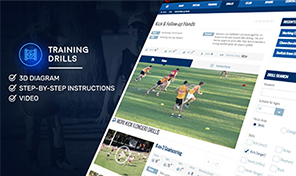 Below are the pick of drills for pre-season training on the Coach Assist website.